Despite another disappointing AL East last place finish, the second in three years, there were some encouraging signs. Here are a few positives from the long season to bring into 2015. However, Springer hit .231 and Schoop hit .209. The only rookies who surpassed Bogaerts in both home runs and batting average were Abreu and the Mets Travis D'Arnaud ( who basically matched Xander with 13 HR and .242 BA). One other positive for Bogaerts is he now has over 600 plate appearances in the bigs. This should more than make up for any perceived lack of ABs in AAA. Of course it was disappointing to see Bogaerts have such an extended slump from early June ( when he was fifth in the AL in OBP) through all of July and August. But the showing of Bogaerts and fellow rookie, Mookie Betts at the top of the order in September was very encouraging. 2. Mookie Betts. Speaking of Mookie, he demolished AA and AAA at the age of 21( same age as Bogaerts) to the tune of 11-65-.346-.431 with 33 stolen bases. He then put up very strong rookie numbers for Boston, 5-18-.291-.368 with 7 more bags taken. The minor league second baseman is still learning all of the nuances of playing the outfield, but his speed and instincts have made him acceptable out there all ready. No matter what his defensive position, there is one thing for sure, Betts is a leadoff hitter, a dire need going forward for Boston. Betts would bring everything Jacoby Ellsbury brought to the leadoff spot, with maybe the potential for somewhat more power, and a tick or two less in the stolen base department. This of course leads to the central question about Mookie Betts. Is he the key trade chip this winter or is he a key piece of Ben Cherington's "next great Red Sox team"? Personally at this point I would not trade Mookie for any pitcher, ace or otherwise( OK, maybe straight up for Chris Sale or Steven Strasburg, etc., maybe). If the Marlins make Giancarlo Stanton available, then we'll talk. I think the Sox keep him and try to make a trade package from the other long list of Red Sox prospects. 3. Dustin Pedroia. The positive for Pedey, is that he WAS hurt. Because if his power game had deteriorated as it has and he had been perfectly healthy, that would be a giant red flag. If the surgery on his hand lets him return to 80% or better, of his past offensive game, Pedroia is still a very good player because of defense. 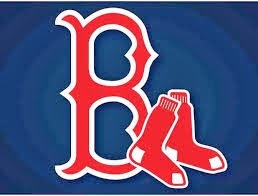 I would like to see Pedroia slide down to 6 or 7 in the lineup and leave Betts and Bogaerts at the top. There has been some talk of the Red Sox quietly shopping Pedroia to free up second base for Mookie. This has been shot down by many reports, including Rob Bradford, who reported that Pedroia received a full no-trade clause in his long term extension signed in 2013. But what deal would Dustin consider accepting? A recent report from Cleveland stated the Indians may be thinking about moving Jason Kipnis to the outfield if they could find a better defensive second sacker. Could the Sox deal Pedroia to a reunion with Terry Francona, and acquire a young Cleveland pitcher or two, not named Kluber?? 4. Joe Kelly. One of the two players acquired from St. Louis for John Lackey. Allen Craig the other player traded to Boston has been a failure at the plate so far. ( for the stat of the week, Craig hit .128 for the Sox, John Lackey hit .133 for the Cards!). But Joe Kelly has been very impressive in his two month stint in the Boston rotation. Kelly has almost certainly cinched a spot in the middle of the 2015 rotation. He throws hard with a fastball often in the mid to high 90's. Joe was 4-2 with an ERA of 4.11. Kelly may not be the ace the Sox need, but he should be a very useful starter for years to come, as the Sox control his contract through 2019. 5. The 2014 Pawtucket rotation. All of the early season AAA starting rotation received an extended audition in Boston, except Matt Barnes ( who did make his MLB debut in September in the Sox bullpen). Brandon Workman, Allen Webster, Rubby De La Rosa, Anthony Ranaudo, and to lesser extent, knuckle baller Stephen Wright all pitched in the Boston rotation for a longer time than was expected when leaving Fort Myers. The conventional wisdom among the media and fans is that all of these hurlers essentially failed because they did not put up eye popping numbers and more importantly, none of them exhibited a put away strikeout pitch. I would not argue that logic, but I do think some of them (especially Ranaudo and Workman may have been out of gas by late August and September). But without delving to deeply into the stats, I would suggest that if none of this group is an ace, they all ( even Wright) did show the ability to be a back end of the rotation starter or a helpful bullpen arm. Not being aces may not be what the fan base wants to hear, but there is value in developing fourth and fifth starters and power arms for your bullpen. Even though, Rubby was probably the most consistent starter in the group, I still think he has power closer written all over him. Do not be surprised if De La Rosa is the 2015 closer. The other positive about this entire group is they pitched well enough to entice other teams around the majors. Just check out the lack of starting depth for some teams around MLB. If the Sox packaged two of these arms, as two MLB starters at minimum wage, you could have the start of an impressive big trade package. 6. Christian Vazquez. The young catcher with the cannon for an arm, took the starting catching job in mid season and never let go. Vaz not only threw out over 50% of would be base stealers, but his work behind the plate, pitch framing, etc. was raved about by all including his manager John Farrell. The only question is his bat, but even there Christian is better than perceived. The average AL catcher in 2014 hit .240 with a OBP of .300. Vazquez hit .240 with a .308 OBP. There is almost no doubt at all Vazquez is the 2015 Opening day catcher. Normally, there would be no doubt he would be the Sox catcher for the next decade, but another catcher Blake Swihart hit AAA in August, and he is considered a much better hitter and he also throws out runners at a high %. If the Sox decided to keep Betts and Bogaerts, would Swihart be the big chip in a big off season deal? 7. 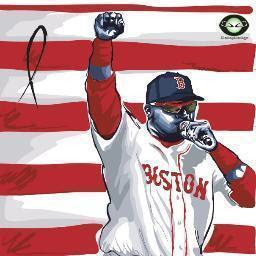 Rusney Castillo. Just a brief mention about the 27 year old Cuban outfielder, who made a brief appearance in Boston after signing in late August for 7 years (including 2014) and 72.5 million dollars. Rusney appears to have a power ( 20 HR type) speed combo (although not as blazing fast as first advertised). Castillo had not played for well over a year while he defected from Cuba, so next spring may really show what the Sox have here.